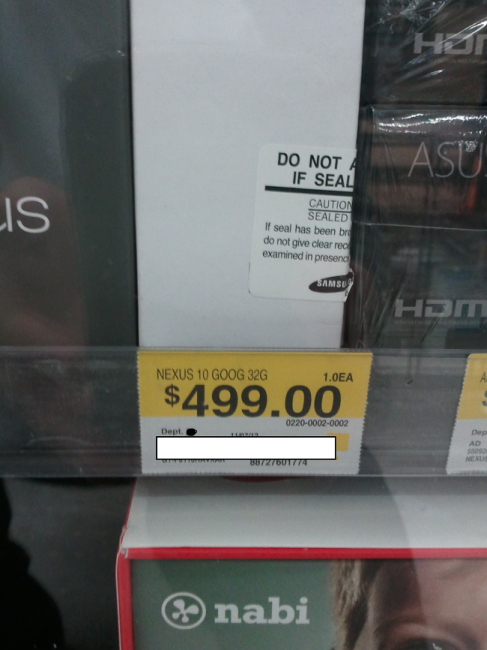 While doing some late night shopping, a customer was walking through the tech section of their local Walmart and spotted the Nexus 10 tablet, 32GB selling for $500. Due to the time of the spotting, there wasn’t an employee around to procure about purchasing the item, but if he would have been able to do so, that would have been a major score. The tablet is supposed to hit shelves next week on the 13th of November. Now, go out to your local Walmart and see if you can find one for yourself. Has This Random Purple Discoloration Happened to Your DROID RAZR HD Screen?